The wilderness and the dry land shall be glad, the desert shall rejoice and blossom; like the crocus it shall blossom abundantly, and rejoice with joy and singing. The glory of Lebanon shall be given to it, the majesty of Carmel and Sharon. They shall see the glory of the LORD, the majesty of our God. Strengthen the weak hands, and make firm the feeble knees. Say to those who are of a fearful heart, "Be strong, do not fear! Here is your God. He will come with vengeance, with terrible recompense. He will come and save you." Then the eyes of the blind shall be opened, and the ears of the deaf unstopped; then the lame shall leap like a deer, and the tongue of the speechless sing for joy. 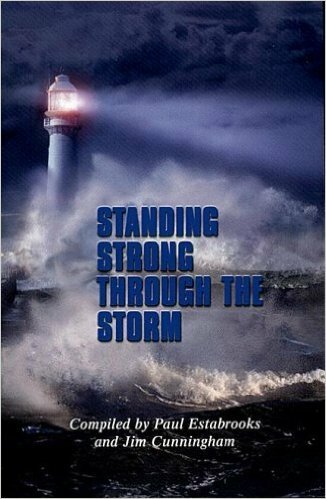 For waters shall break forth in the wilderness, and streams in the desert; the burning sand shall become a pool, and the thirsty ground springs of water; the haunt of jackals shall become a swamp, the grass shall become reeds and rushes. A highway shall be there, and it shall be called the Holy Way; the unclean shall not travel on it, but it shall be for God's people; no traveler, not even fools, shall go astray. No lion shall be there, nor shall any ravenous beast come up on it; they shall not be found there, but the redeemed shall walk there. And the ransomed of the LORD shall return, and come to Zion with singing; everlasting joy shall be upon their heads; they shall obtain joy and gladness, and sorrow and sighing shall flee away. "See, I am coming soon; my reward is with me, to repay according to everyone's work. I am the Alpha and the Omega, the first and the last, the beginning and the end." Blessed are those who wash their robes, so that they will have the right to the tree of life and may enter the city by the gates. Outside are the dogs and sorcerers and fornicators and murderers and idolaters, and everyone who loves and practices falsehood. "It is I, Jesus, who sent my angel to you with this testimony for the churches. I am the root and the descendant of David, the bright morning star." The Spirit and the bride say, "Come." And let everyone who hears say, "Come." And let everyone who is thirsty come. Let anyone who wishes take the water of life as a gift. 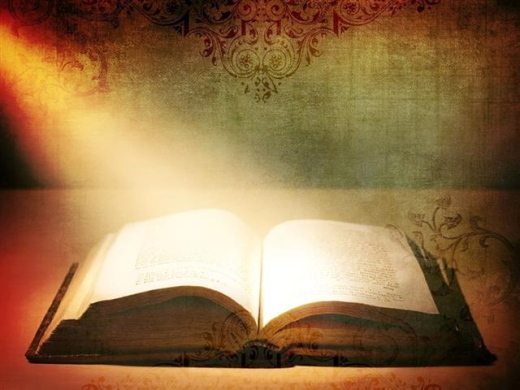 I warn everyone who hears the words of the prophecy of this book: if anyone adds to them, God will add to that person the plagues described in this book; if anyone takes away from the words of the book of this prophecy, God will take away that person's share in the tree of life and in the holy city, which are described in this book. The one who testifies to these things says, "Surely I am coming soon." Amen. Come, Lord Jesus! The grace of the Lord Jesus be with all the saints. Amen. Then his father Zechariah was filled with the Holy Spirit and spoke this prophecy: "Blessed be the Lord God of Israel, for he has looked favorably on his people and redeemed them. He has raised up a mighty savior for us in the house of his servant David, as he spoke through the mouth of his holy prophets from of old, that we would be saved from our enemies and from the hand of all who hate us. Thus he has shown the mercy promised to our ancestors, and has remembered his holy covenant, the oath that he swore to our ancestor Abraham, to grant us that we, being rescued from the hands of our enemies, might serve him without fear, in holiness and righteousness before him all our days. And you, child, will be called the prophet of the Most High; for you will go before the Lord to prepare his ways, to give knowledge of salvation to his people by the forgiveness of their sins. 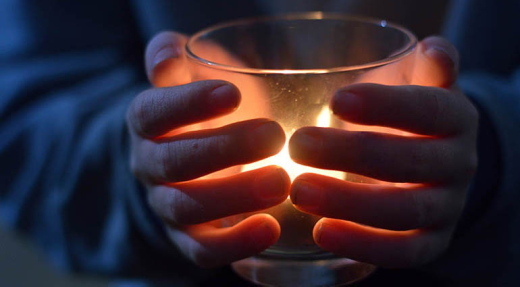 By the tender mercy of our God, the dawn from on high will break upon us, to give light to those who sit in darkness and in the shadow of death, to guide our feet into the way of peace." The child grew and became strong in spirit, and he was in the wilderness until the day he appeared publicly to Israel. Lucas 2:16-20 (NVI) Así que fueron de prisa y encontraron a María y a José, y al niño que estaba acostado en el pesebre. Cuando vieron al niño, contaron lo que les habían dicho acerca de él, y cuantos lo oyeron se asombraron de lo que los pastores decían. María, por su parte, guardaba todas estas cosas en su corazón y meditaba acerca de ellas. Los pastores regresaron glorificando y alabando a Dios por lo que habían visto y oído, pues todo sucedió tal como se les había dicho. Morning Devotions with Cap'n Kenny - "God Is with You"
Maybe you are having a difficult time this Christmas. Maybe your marriage has fallen apart and you are alone. Let me tell you something: God is with you. Maybe your kids have forgotten about you this year. Jesus hasn't forgotten about you. His name is Immanuel, which means "God with us." Maybe your parents have forgotten about you. But God your Father has not forgotten about you. Christmas is about undoing loneliness. 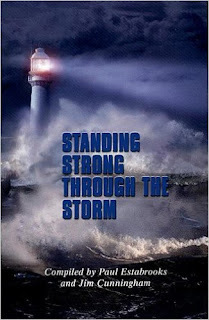 Jesus said, "I will never leave you nor forsake you" (Hebrews 13:5 NKJV). From the original language, it literally could read something like this: "I will never, no never, no never leave you or forsake you." He is going to be with you in the happy days. He is going to be with you in the sad days. He is going to be with you on the hard days. He will be with you through all of your days. Then He will be waiting for you on the other side to welcome you into glory. You don't have to be afraid, because God is with you. Sometimes people have asked me, "How do you get through the holidays if you have lost a loved one? Is there some book I can read?" My answer is that you don't need a manual; you need Immanuel. You need to know that God is there. You need to lean into Him. That is the essential message of this holiday season: that God came near. That is what this season all about. It is about Immanuel, God is with us. He is here for you. Chinese evangelist, Brother Xi, was travelling one very cold Christmas Eve in the rugged province of Gansu. As he came to the next village he sensed something was wrong. He introduced himself as a bearer of good news. A small man interrupted, “Well we have only bad news here right now. A couple has just had their baby stolen.” In the poorer areas of China, where couples are restricted to one child, it is not uncommon to have child snatching, even stealing babies for wealthy childless couples in the cities. 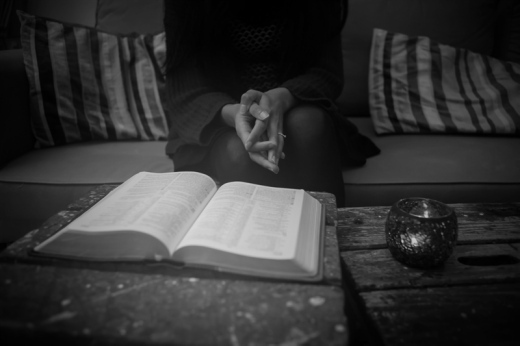 NIV Devotions for Couples - Who Influences Us? 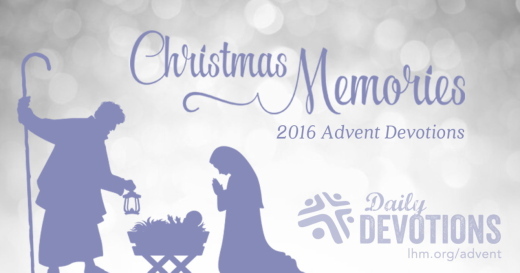 LHM Daily Devotion - "In the Elements"
And she gave birth to her firstborn Son and wrapped Him in swaddling cloths and laid Him in a manger, because there was no place for them in the inn (Luke 2:7, ESV). On Christmas Eve my thoughts goes back to a "live" nativity when I was a teenager. I was dressed as a wise man, and it was freezing cold. Each of us stood shivering and shaking, waiting for our shift to end, so we could thaw out our aching toes and wrap our frozen fingers around a steaming mug of hot chocolate. We don't know what time of year Jesus was born. But whatever time of year it was, Joseph and Mary had to lay their Child where no one would ever want to put a newborn -- out in the elements, with only a crude shelter for His protection. Do you have a manger scene in your front yard? If so, spend a few minutes there tonight. Jesus willingly left His glorious throne in heaven to share the chill of nighttime and the grinding heat of the summer sun. He experienced our hunger and thirst, sleepless nights, and long difficult days. But more than any of us, He experienced a crown of thorns, a brutal whip across His back, and nails driven into His hands and feet. He took our sins on Himself and felt the full weight of God's wrath, so one day we will live forever in God's presence where, "They shall hunger no more, neither thirst anymore; the sun shall not strike them, nor any scorching heat" (Revelation 7:16). THE PRAYER: Lord Jesus, You left the comforts of heaven to share the difficulties of our life. Through Your suffering and death in our place, You opened heaven to us. Fill our hearts with joy this Christmas and every day until we stand with You in paradise. Amen. Como la luz en un sitio oscuro. Como la lluvia sobre un terreno reseco. Como el aroma del mejor perfume en un ambiente viciado. Como todo lo que refresca, revitaliza y renueva. Así es la gracia de Dios. Esa gracia nos revela el corazón de Dios. En ella brilla la buena voluntad del Creador para con nosotros. Esta noche es Nochebuena. Nos hemos preparado para este momento. Esta tiene que ser una noche diferente, porque Dios permite que así sea. Sí, ¡porque la gracia de Dios se ha manifestado para salvación de todos los hombres! Tu navidad puede ser una navidad con gracia. Para muchos, lamentablemente, no lo es. Por falta de medios, por exceso de dificultades, pero sobre todo por falta de fe. Quizás sea una navidad de abundancia, de consumo, de luces, pero no una navidad con gracia. ¿Cómo será tu navidad? ¿Vas a tener mucho, pero con sabor a nada? La gracia de Dios se ha manifestado en su Hijo, en ese niño preparado desde la eternidad, prometido en el Edén y nacido en Belén. 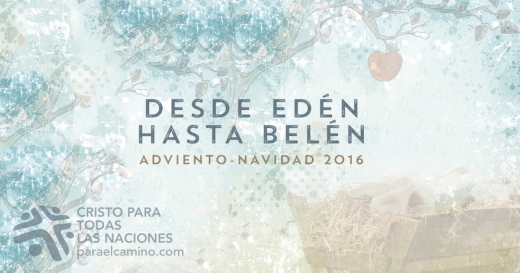 Nuestra navidad sólo será una verdadera navidad si tenemos a Jesús, su palabra, su presencia, su iglesia. ¿Lo hemos buscado? Sólo en Jesús vamos a encontrar la gracia de Dios que trae consigo el poder salvador. Ese poder es el único que nos salva de la impiedad y de los deseos mundanos, y nos da fuerza para vivir de manera sobria, justa, piadosa y con esperanza. Abracemos, entonces, con arrepentimiento y fe al niño que Dios nos regala, y vivamos esta navidad, y cada día de nuestras vidas, con gracia. Padre de gracia y misericordia: te agradecemos y alabamos por darnos a tu Hijo. Gracias porque en Él tenemos salvación, esperanza y paz. En su nombre. Amén. At Christmas we embrace the good news that God, in Christ, has come to us wherever we are and has bridged the gap between us. He invades our prison of darkness with His light and lifts the load of sorrow, guilt, or loneliness that weighs us down. On that bleak Christmas Eve in prison, Niemoller shared this good news: “Out of the brilliance that surrounded the shepherds a shining ray will fall into our darkness.” His words remind us of the prophet Isaiah, who prophetically said, “The people walking in darkness have seen a great light; on those living in the land of deep darkness a light has dawned” (Isa. 9:2). No matter where today finds us, Jesus has penetrated our dark world with His joy and light! Lord Jesus, we find hope and strength in knowing that Your light shines in the darkness, and the darkness has not overcome it. The joy of Christmas is Jesus. … los que moraban en tierra de sombra de muerte, luz resplandeció sobre ellos (Isaías 9:2). Martin Niemoller, un destacado pastor alemán, pasó casi ocho años en campos de concentración nazis porque se oponía abiertamente a Hitler. La víspera de Navidad de 1944, compartió estas palabras de esperanza con sus compañeros de prisión en Dachau: «Mis queridos amigos, esta Navidad […] busquemos en el Bebé de Belén a Aquel que vino para soportar con nosotros todas las cargas que nos abruman […]. ¡Dios mismo construyó un puente hacia nosotros! ¡Un amanecer de lo alto nos ha visitado!». En Navidad, recordamos la buena noticia de que Dios, en Cristo, nos busca donde estemos y cierra la brecha que nos separa de Él. Inunda de luz nuestras prisiones de oscuridad y levanta la carga de tristeza, culpa o soledad que nos agobia. Aquella Nochebuena en la cárcel, Niemoller compartió esta buena noticia: «Del resplandor que rodeó a los pastores, un rayo brillante caerá en nuestra oscuridad». Sus palabras nos recuerdan al profeta Isaías: «El pueblo que andaba en tinieblas vio gran luz; los que moraban en tierra de sombra de muerte, luz resplandeció sobre ellos» (9:2). Independientemente de dónde te encuentres hoy, ¡Jesús ha penetrado nuestro mundo oscuro con su gozo y su luz! Señor Jesús, saber que tu luz brilla en la oscuridad y prevalece sobre ella nos da esperanza y fuerzas. El gozo de la Navidad es Jesús. An Weihnachten hören wir die frohe Botschaft, dass Gott in Christus zu uns gekommen ist, wo wir auch sind, und die Kluft zwischen uns überbrückt hat. Er erfüllt unser finsteres Gefängnis mit seinem Licht und nimmt die Last von Trauer, Schuld oder Einsamkeit, die uns niederdrückt. An jenem trostlosen Heiligabend im Lager verkündete Niemöller die gute Nachricht: „Aus der Klarheit, die die Hirten umleuchtete, fällt ein Strahl auch in unsere Dunkelheit.“ Seine Worte erinnern uns an den Prophet Jesaja, der bereits voraussagte: „Das Volk, das im Finstern wandelt, sieht ein großes Licht, und über denen, die da wohnen im finstern Lande, scheint es hell“ (Jes. 9,1). Egal, wo wir heute sind, Jesus ist mit seinem Licht und seiner Freude in unsere dunkle Welt gekommen! Herr Jesus, dein Licht scheint in der Finsternis und die Finsternis hat es nicht bezwungen. Das gibt uns Hoffnung und Kraft. Wahre Weihnachtsfreude finden wir in Jesus. На Рождество мы вспоминаем Благую весть: Бог во Христе пришел к нам, где бы мы ни были, и устранил лежащую между нами преграду. Он принес в нашу мрачную темницу Свой свет и снял бремя скорби, вины и одиночества, клонившее нас к земле. В сумраке рождественского вечера Нимоллер возвестил Благую весть: «Из сияния славы, озарившей пастухов, яркий луч проникнет в нашу тьму». Его слова напоминают пророчество Исаии, гласящее: «Народ, ходящий во тьме, увидит свет великий; на живущих в стране тени смертной свет воссияет» (Ис. 9:2). Неважно, где мы находимся. Иисус пронзает тьму нашего мира светом и радостью! Господь Иисус, мы обретаем надежду и силу, вспоминая, что Твой свет сияет во тьме, и тьма не объяла его. Радость Рождества – в Иисусе Христе. Par cette lugubre veille de Noël en prison, Niemöller a propagé cette bonne nouvelle : « De la lumière éclatante qui entourait les bergers, un rayon viendra illuminer nos ténèbres. » Ses paroles nous rappellent d’ailleurs celles du prophète Ésaïe : « Le peuple qui marchait dans les ténèbres voit une grande lumière ; sur ceux qui habitaient le pays de l’ombre de la mort une lumière resplendit » (ÉS 9.2). Peu importe où Dieu nous trouve, Jésus a pénétré notre monde ténébreux de sa joie et de sa lumière !